When I initially set out to write this feature, I thought I would simply weave together a film review of I Origins with quotes from director Mike Cahill — but, given the metaphysical nature of the film and the rather curious circumstances that have led to my watching it, I figure a personal anecdote is in order. Back in April, I was on tour with a band, and we happened to have a day off in Albuquerque. We filled it with a number of activities, from bowling to thrift store shopping and milkshake drinking — so when evening came and most others were ready to relax, one friend and I debated over watching Jonathan Glazer’s Under The Skin, which I had been hyping all day. He was being wishy-washy, though, and, unable to decide, he finally concluded that I should draw a tarot card to settle the issue. For those unfamiliar with tarot cards, they are more often used for more in-depth divination, but each card can also be assigned yes or no values, with varying degrees of power. 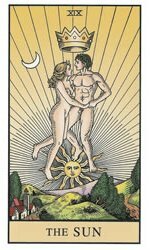 The card I received in response to whether we should go watch the film was “The Sun”, which is generally known as “the happiest card in the tarot”, with very few negative aspects. Hence, drawing it symbolized an emphatic yes to our question. The Views Are Subjective — And Polarizing. Instead, we are in the era where Neil deGrasse Tyson’s Cosmos sees censorship on prime time television. Given this environment, it serves a scriptwriter well to do his research, which Cahill did. A number of small details contribute to the interpersonal development of the film’s characters, as well as tie in Cahill’s real-life filmmaking experience with the cinematic narrative. 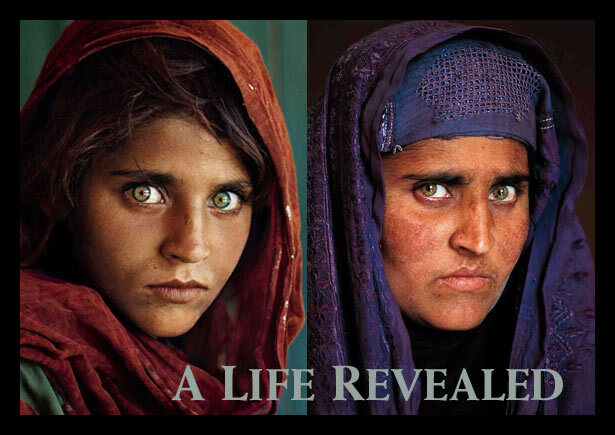 In one scene, Grey sits in a diner and his gaze lands upon Steve McCurry’s famous 1985 National Geographic photo of the green-eyed Afghan girl, which provides the original inspiration for I Origins‘ explorations into locating human beings through iris biometrics. Cahill then began wondering, “What if you could find a person after they died, through the same method?”, thus spawning the point where the film’s metaphysical ideas begin to connect with its earlier scientific ideas. Its sci-fi label finally begins to poke through once Ian Grey sets out on a search for the reincarnated Sofi. Considering the unlikelihood that iris patterns actually extend through multiple lives, some suspension of disbelief is definitely required during this second part of this film, and the barrier to entry is vastly different for everyone. One such as myself, who already believes in past lives due to personal anecdotal evidence, might easily get on board — while less accepting critics without such experiences would need to jump over a mighty large hurdle. The fact that I Origins is set in a near future so closely resembling the present only increases the difficulty of suspending that disbelief. The Details Unfold By Themselves. 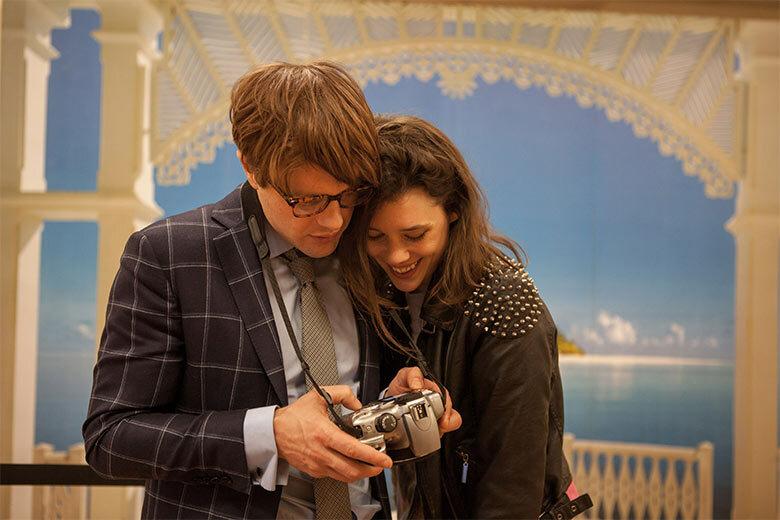 What’s beautiful, though, is that the polarized reception to I Origins is a meta commentary on the subjective nature of spirituality itself, which is very much experience-oriented. Yet those who say that I Origins is full of “sloppy screenwriting” and “sloppy cinematography” are truly missing the film’s incredible attention to detail, which is anything but. Everything is well-contemplated to an unbelievably impressive degree, and peppered throughout the film are a number of markers to back up that assertion. Take, for instance, the film’s most ambitious shot — a double Vertigo shot which concludes during Grey’s dizzying journey through the number 11. A homage to Alfred Hitchcock’s invention of the Vertigo shot, and to Stanley Kubrick, who Cahill says “was innovating in every single movie ever”, the shot is damn near perfect on a conceptual as well as technical level. “It’s rare that you would find yourself with an opportunity to do [a double vertigo shot], but because of the sort of blocking and construction of the shot — because there’s a reflection in the bus and there’s a billboard [behind the character] — it lent itself to [it],” explains Cahill, who had the luxury of using robotic Technocrane, a device where all settings and positions of a camera can be keyed in and replicated over and over again on a memorized timeline. “A vertigo shot just makes you feel literally like, ‘Whoooooa, I’m feeling this momenttttttt,’ and to do it and then 180 around to reveal what [the character is] looking at… I was using the right tool at the right time; it actually had a purpose. One can also look to other subtle hints found throughout the film, similar to that of McCurry’s photograph in the diner; for example, due to the band’s futuristic leanings, Cahill purposely included Radiohead posters in the scene description of Grey’s apartment. When Cahill was tracking down the rights to use the Radiohead poster, he soon found himself in talks with Radiohead’s manager, Bryce Edge, who was a fan of his previous film, Another Earth. “Radiohead gave us all those songs to use for free, because — you know, the last film that I did, which was also kind of polarizing, apparently — they appreciated that. And that was a really reassuring feeling of: when you’re making art, you’re connecting with people maybe on the other side of the globe, and when I was writing, I was really grateful for that and felt really, really lucky. I still feel really lucky about that with the new work,” says Cahill, who expresses that, as an indie film, they could never have afforded a big-budget song. The film’s soundtrack choices definitely lend quite a bit of weight to the film itself. “Dust It Off”, by French indie pop arteurs, The Dø, provides a wonderfully dreamy counterpart to the film’s romantic moments in a lyrically subjective way. Radiohead’s “Motion Picture Soundtrack” plays during the final moments of I Origins, but twas a stroke of incredible luck and synchronicity that the track ended up where it did. The day after I watched I Origins at the Seattle International Film Festival, I was riding the bus home from Seattle to Portland. When I awoke from a nap, I Origins was fresh on my mind, and I pulled up Radiohead’s “Motion Picture Soundtrack”, plotting how I might fit it into my FM radio show later that day. Throughout I Origins, doors, both open and closed, are representative of one’s willingness or unwillingness to enter into the great spiritual unknown. I thought again to Cahill’s story about how the sentence, “I will see you in the next life,” fit perfectly into the end of the film, when a set of doors open into a white void of sunlight, symbolic of personal transformation. It dawned on me then that the I had just done the same drive from Portland exactly one week prior, with the previously mentioned band, who I have always felt an intense past-life connection with. For a moment, I debated over whether that feeling was mutual, and whether that thought was rooted in reality or merely my own twisted fantasies. Yet right when I remembered that we stayed at a hotel near Emerald Queen Casino, I looked up to see the casino’s green and yellow billboard passing by in a blur. In my headphones, Radiohead’s “I will see you in the next life” line rang out, its exact timing within milliseconds of this locational specificity. 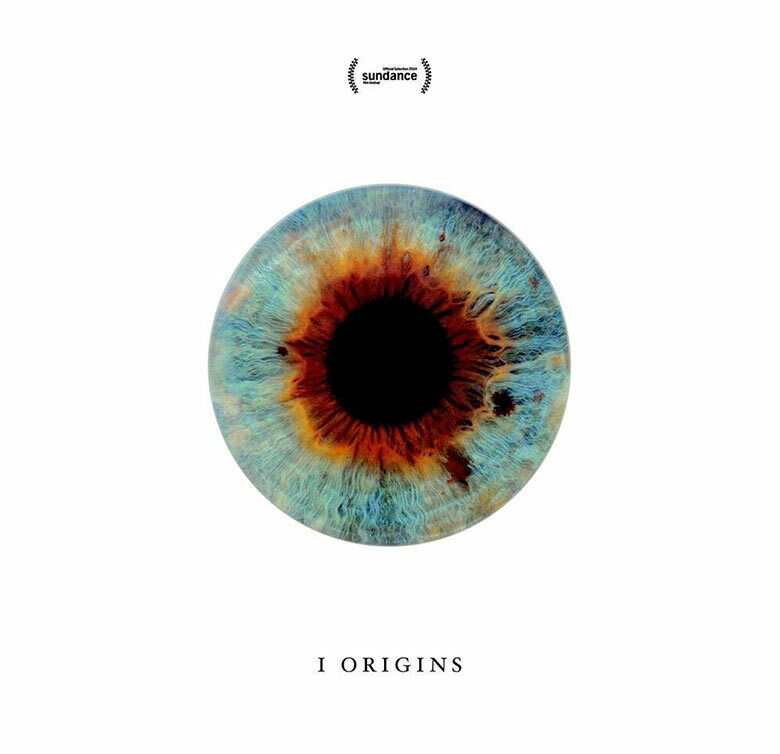 With such curious life happenings, what can I say about a film like I Origins, which polarizes to such a huge degree, except that it’s important that films like this are being made. The gap between the spiritual and the scientific may not be as big as we might think, especially as quantum physics makes it increasingly clear that we know much less than we ever thought about the way of the natural world. Perhaps the importance of art and sci-fi is to draw attention to this subjectivity. Mike Cahill: if you’re reading this, I honestly do think we should grab dinner. Send me an e-mail!